Restoration of the ''green room'' in the main house. Fossil downs Station is located approx. 40km from Fitzroy Crossing. We have been invited by the owners of Fossil Downs to help maintain the homestead and property in the Kimberlys for many years now. The homestead is near Fitzroy Crossing where the annual rains and constant heat causes much damage. 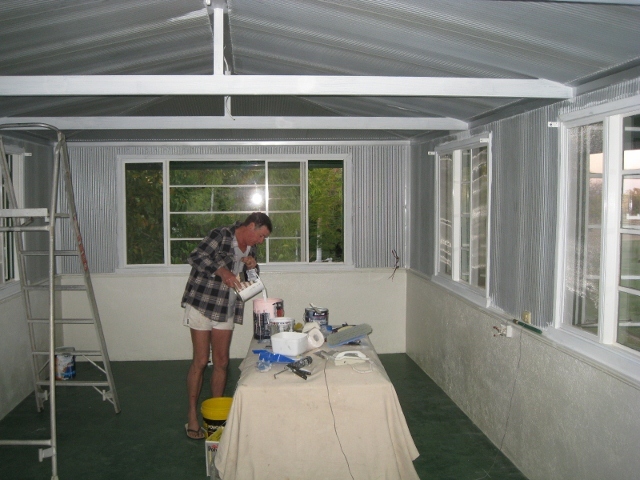 We have helped restore and maintain the homestead by painting with original colours and providing many other handyman services.